Hawking HGA32T PCI Netwerkkaart kopen? | That's IT! Hawking Technologies' HGA32T 10/100/1000Mbps Auto-sensing Gigabit Ethernet Adapter is the perfect solution for Gigabit Ethernet and Fast Ethernet networking environments. 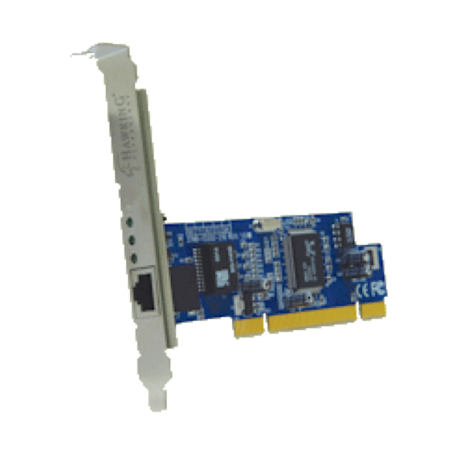 Simply install your HGA32T PCI card into an available PCI slot and load the HGA32T's drivers into your computer. For gigabit transfer rates, connect to other 10/100/1000Mbps compatible network cards or gigabit switches. The HGA32T is also backward compatible with any 10/100Mbps card or switch, which provides you with a convenient way to network your computer with any existing networking equipment. High speed networking for your home or office has never been easier!